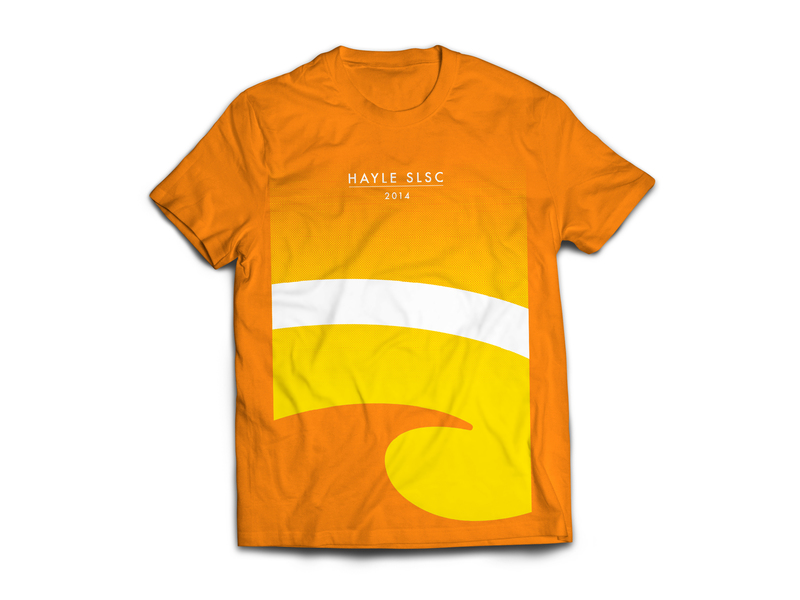 Hayle Surf Life Saving club needed a new T-Shirt design for the 2014 competition season. 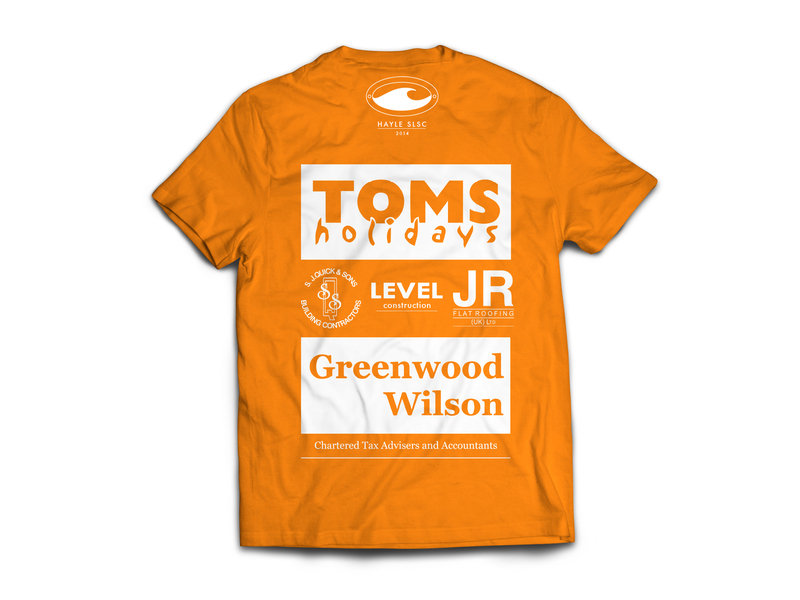 They wanted an eye catching design that would attract sponsors to pay for advertising space on the back of the shirt. The club colors are orange and yellow and they wanted to incorporate some element of sea or waves in the design. A few versions were designed and the final design that was chosen can be seen below along with the sponsors that the club managed to attract raising much needed funds.